All rooms may be created equally, but they sure don’t get equal treatment. Kitchens will see much more foot traffic than laundry rooms, but laundry rooms may have to deal with a lot more dirt and moisture. A bedroom may not see a lot of use, but what if the loyal family dog is always asleep at the foot of the bed? 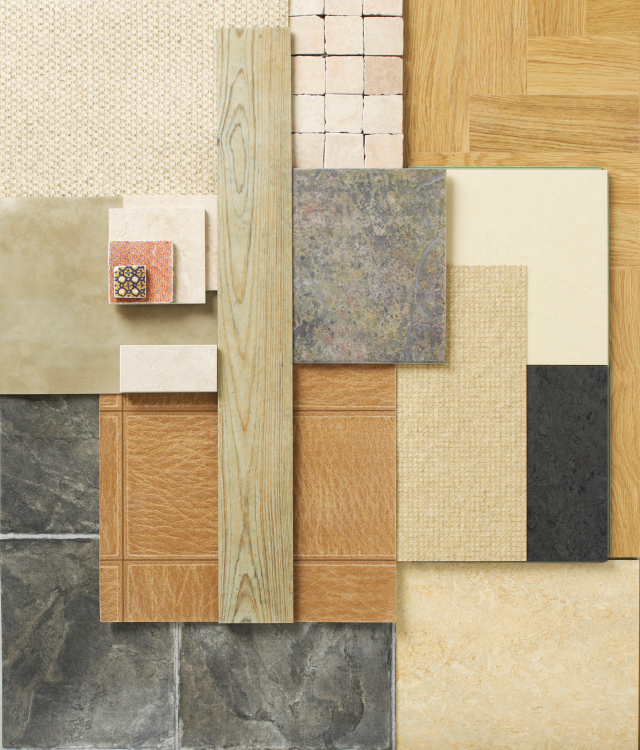 Is there one type of flooring best suited for all types of usage? A lot depends on your personal style or taste. If you refuse to place even one stitch of carpeting in your house, a room full of berber is out of the question. But let’s take a look at the most common types of flooring available and their functionality. Which flooring will work best in your home? Solid wood flooring has a warm and welcoming feel no matter the room. It is also durable, and with a little sanding and refinishing, can constantly be brought back to life. Different material, widths, color and finishing allows for many options to fit any style. Spills are easily cleaned up with a paper towel or two. Engineered wood flooring – a thin veneer or real wood over structural plywood – comes at a cheaper price, but won’t wear as well as solid wood floors. Refinishing an engineered wood flooring is a one-time proposition, and maybe not even that depending on the thickness of the veneer. Neither of these flooring choices do well in damp places as differing humidity levels can cause the wood to expand and contrast. This type of flooring is constructed with dense fiberboard, then an image of wood, stone, tile, etc., and finally a clear protective layer to resist damage. It’s also much cheaper than hardwoods and other flooring coverings. And, the best laminates can even resist scratching or discoloration better than hardwoods. But, any kind of heavy damage results in flooring that needs to be replaced, especially if the protective layer has worn through. A cool, classic look that is limited only by the design you choose, tile flooring can resist wear, moisture, scratches, dents, and stains. A good choice for high-traffic areas like foyers and kitchens. As is the case no matter where you use tile, keeping the grout clean can be a chore, and the cost of tile and difficulty of installation can be prohibitive. The least expensive of the bunch, vinyl is a durable option that has many color and design options. Dents, scratches, stains and wear and tear are not as much of a concern with vinyl. However, even though it can mimic the look of almost any type of flooring, it is still vinyl. While the other flooring examples are hard underfoot, a carpet is soft to walk on and exudes a warmness that can’t be matched by hardwoods or tile – especially on a cold winter morning. So many different styles and colors are available and carpet is often cheaper than hardwoods or tile. Carpet can also act as an insulator of sorts, keep sounds muffled from one floor to the other. A glass of spilled wine, however, can send a homeowner into a frenzy before any stain can set. Certainly, there are many step that you can take to keep your carpet from staining, but these are steps that just aren’t needed with the hard surfaces.